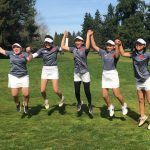 The Varsity Girls golf won their first Metro League tournament of the year by two shots, led by Junior Jessica Ponce’s 2 under par 70 and Senior May Wang’s 1 under par 71. 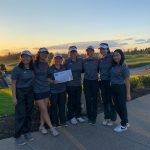 Varsity girls golf got off to a great start by winning the Riverside Invitational. 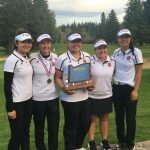 Senior May Wang took individual medalist with a 2 over par score of 74. GO CATS!! !